The farm on which the world's fluffiest sheep live is falling apart! 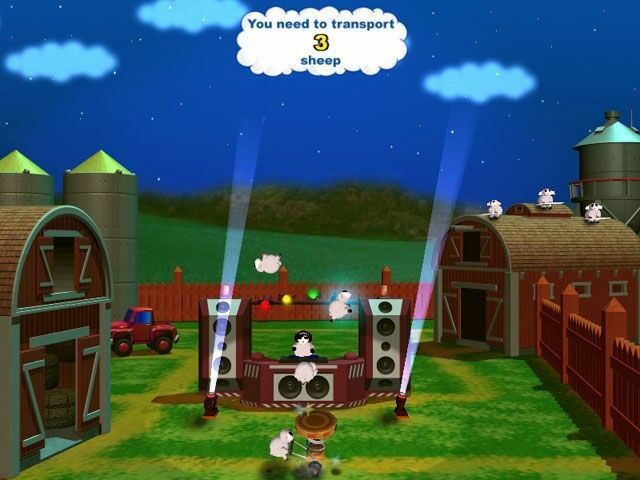 Guide the animals through seven challenging game worlds in an effort to collect enough coins to rebuild their farm. Are you ready? The journey is about to begin! The farm on which the world's fluffiest sheep live is falling apart! Will you help them rebuild their home? All you have to do is guide the animals through seven challenging game worlds in an effort to collect enough coins to pay for the renovations. By placing arrows on the ground, you can also steer the adorable creatures away from enemies and obstacles and maneuver them onto jump pads that will toss them over raging waters! 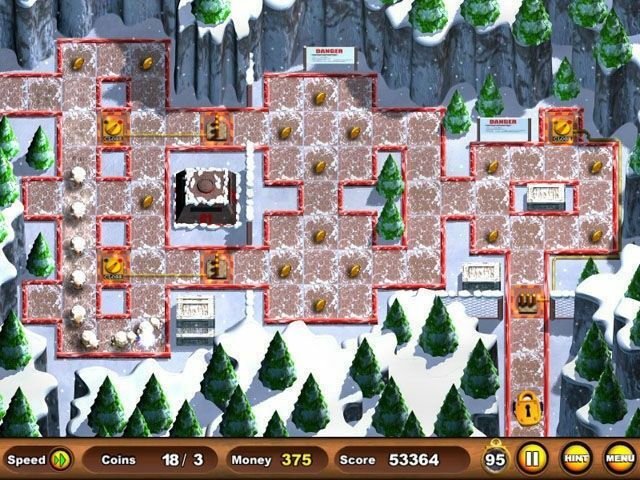 An assortment of bonuses is on hand to help you beat all of the levels in this stimulating puzzle game. Best of all, you can spend the money your sheep gather on upgrades for their farm. In addition to easy point-and-click controls, Sheep's Quest features colorful graphics, delightful audio and professionally animated cinematics. Are you ready? The journey is about to begin!